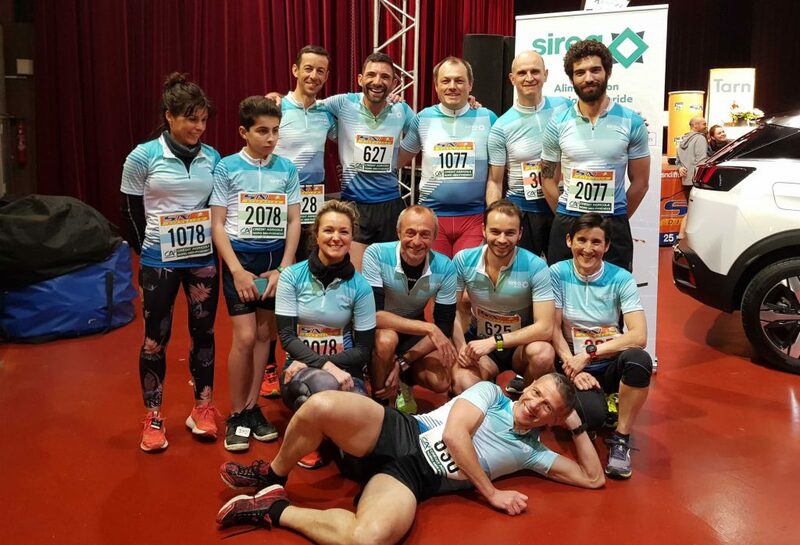 12 runners and a podium for Sirea at 10km of Castres 2019! Vector of many values common to Sirea’s philosophy, sport is one of those moments that our teams love to share. This year, on the occasion of the 10km of Castres, 12 riders have worn the colors of the Sirea jersey. Achievable in individual or in relay of 3 runners, the race organized every year in the center of Castres brought together this time around 1000 runners among which 100 teams! 160th – Isabelle CHRISTOPH (43’24) and 1st in the V1 category! We were also fortunate enough to see 2 relays who did very well, including the relay SIREA 1 represented by Stéphane MOTHEAU, Mathias VILLENEUVE and Eric SIGÉ who ranks 41st in 47’29 and relay SIREA 2 composed of Juanita SIGOIGNET and her son Paulin as well as Émilie MEDEL finishing 45th in 48’17. Our 12 runners all smiles before departure! Congratulations to everyone! The appointment is given for next year, even more numerous to share this event together!